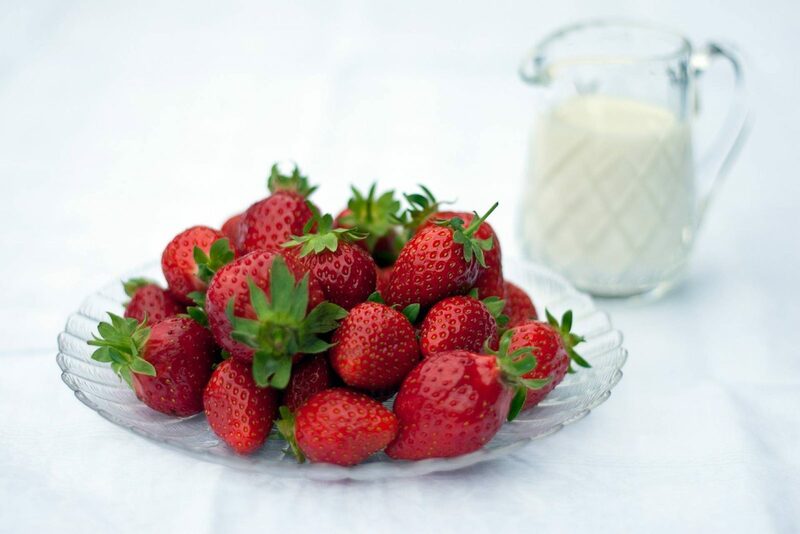 Wimbledon kicked off yesterday and this can only mean one thing for me, it’s time to get those strawberries and cream ready! Tennis is such a big part of our tradition as a country and you don’t get more tradition that at Wimbledon. Since I was a little girl, Wimbledon has played a role in my life in so many different ways. When I was nine years old my dad’s firm had the Wimbledon contract and that meant for the two weeks of Wimbledon he was there all day every day and they were long days. He would come home with lots of different Wimbledon branded merchandise, we had towels, compact mirrors, t-shirts and lots more. The television was permanently on Wimbledon for those two weeks and my brother and I would try and spot our dad when they scanned the courts. Then final day would approach and it didn’t matter if it was the hottest day of the year, we would all be sat around the television to watch it. Of course we had to have strawberries and cream to feel more part of the occasion! Since becoming an adult and having control of my own television, it didn’t change a thing. I still love to watch Wimbledon and I have been lucky enough to go twice. Sadly I missed out on tickets this year! Andy loved to play tennis as a child and was lucky to have courts near him that he played on every day in the school holidays. 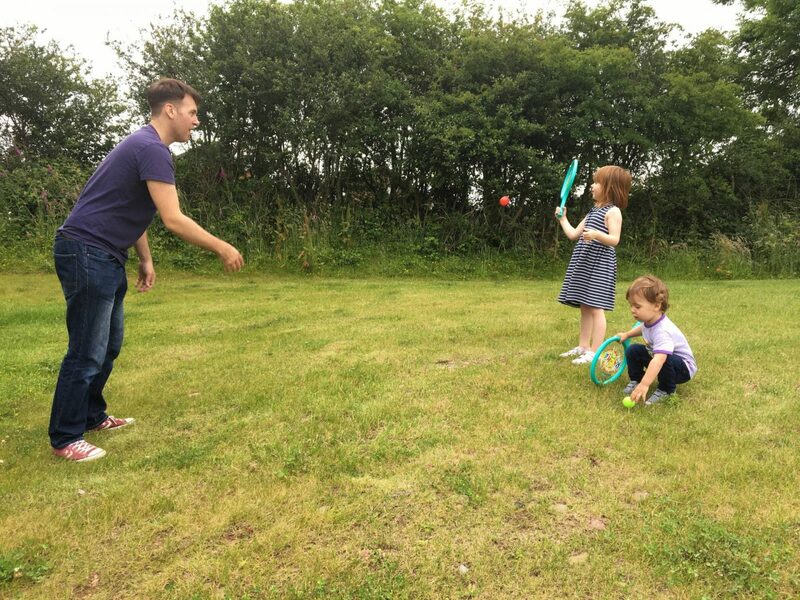 He loves to take the girls outside and play with them, whether it’s kicking a ball about or playing catch. 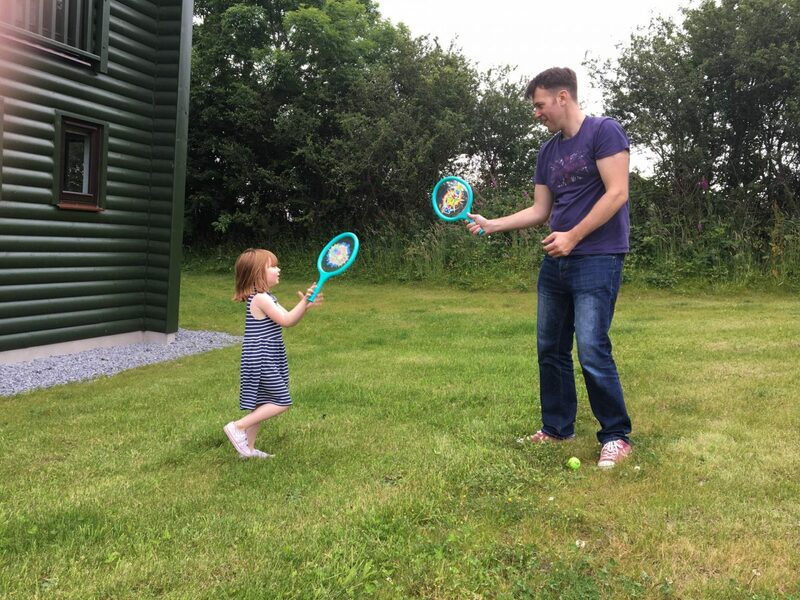 This year Andy brought them a tennis racket set and Alice couldn’t wait to have a go. Then of course Alice decided she knew what to do and went freestyle, whilst Holly just did her own thing the whole time. But, that doesn’t matter, at this age it’s just great to see them outside, having a go and without even realising they are learning a new skill. 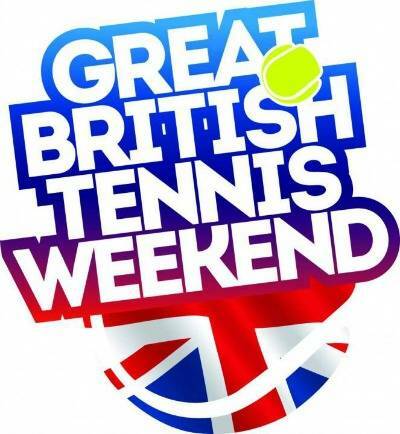 Coming up on the 16th-17th July, the British Lawn Association are hosting Great British Weekend. 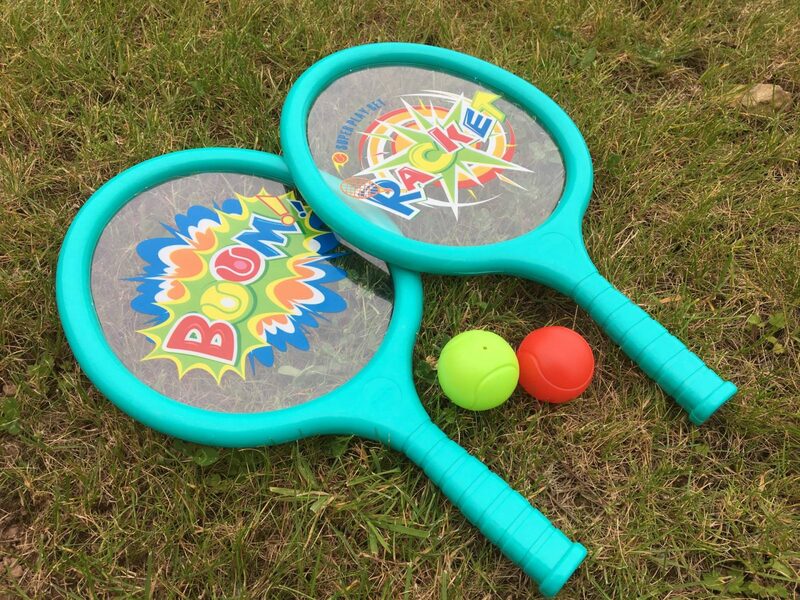 Giving families across the UK a chance to have a go themselves with free sessions. Yes, you can book a session at your local tennis club and it’s completely free. We have signed up for the family session and both my girls can take part, which we can’t wait to do. If you would like to sign up for your free session, head over to the ClubSpark page and find a session near you. It’s so nice to hear your story of how tennis has been so entwined with your childhood and Wimbledon! 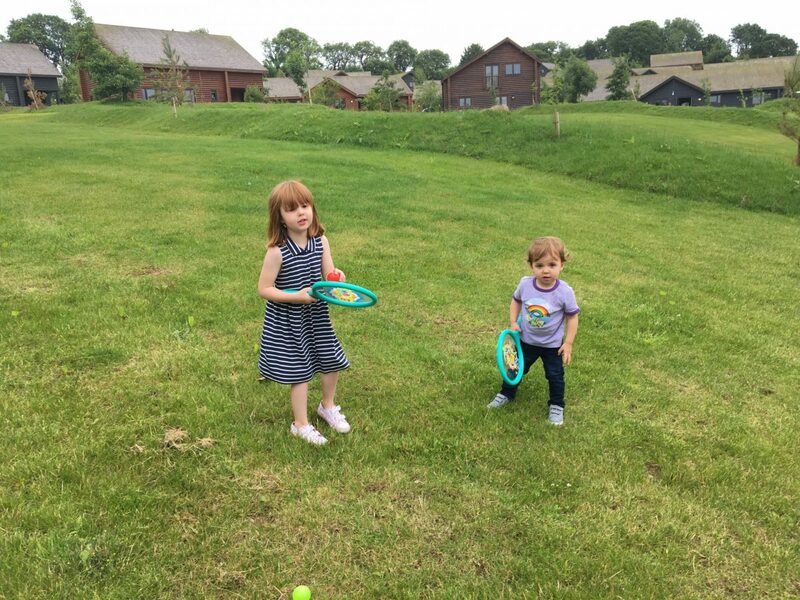 I agree with what you say about your children – that it’s important to get kids outside and they don’t even realise that they are learning a new skill as they are having so much fun! So fab to get the little ones involved. After all, tennis is a British institution! I’m really not into sports but I don’t mind watching Tennis. I certainly don’t play it but I can imagine Erin and my hubby playing it together when she’s older. Oh I love Wimbledon so much, it’s one of my ambitions to go one day! I love the idea of the GBTW too, it’s such a great way to get families involved. What a fab activity to get the kids outdoors and having fun in the fresh air. Lovely post. The picture with the strawberries and the milk is so beautiful. I know I am so excited, go on Andy Murray make us proud. Who would you say is your favourite tennis player? I love playing tennis. I use to play a lot in school. I will definitely be signing up for the free sessions. My kids like the scatch bats but tennis bats not so much. Fingers crossed for you for next year ballots! It was such a great fun watching live! You’re so right. The earlier the better! A family session sounds so much fun! What a fab story about your Dad and how it entwines with you and your familys love of tennis. Ha, that’s exactly like how my kids do sport – my son apparently always knows how to play better than I do!